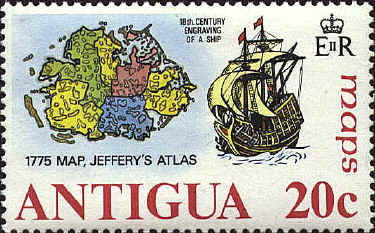 Thomas Jefferys was an important map-maker. 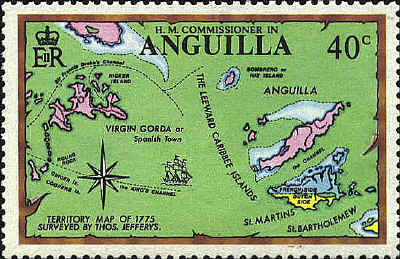 He published his West Indian Atlas with 39 maps in 1775, and his Description of the Spanish Islands and Settlements on the Coast of the West Indies in 1762. 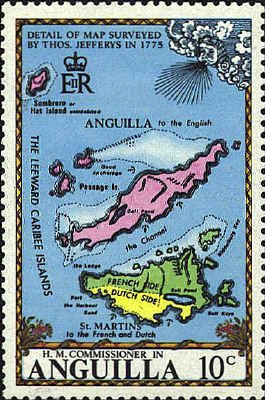 Several of his maps appear on stamps from the West Indies. 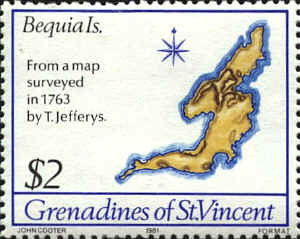 One is identified as based on a 1763 survey, the rest from the 1775 Atlas.